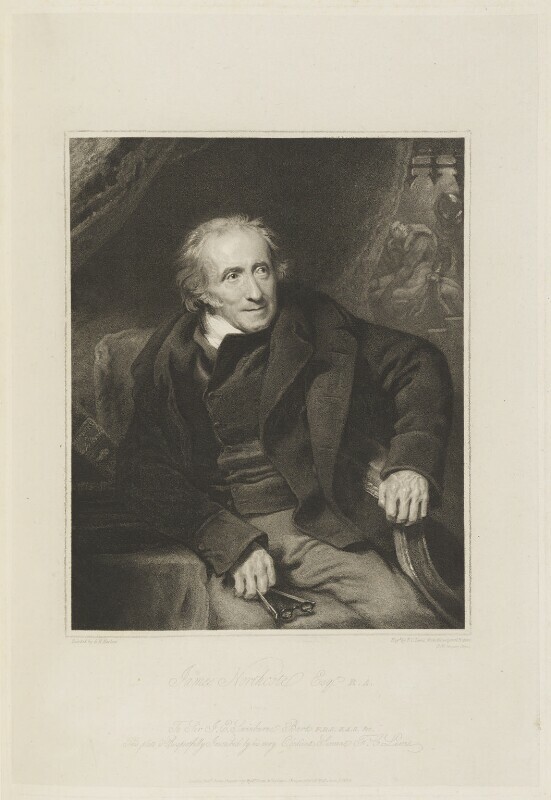 James Northcote (1746-1831), Painter; pupil and biographer of Sir Joshua Reynolds. Sitter associated with 23 portraits, Artist associated with 103 portraits. George Henry Harlow (1787-1819), Portrait painter. Artist associated with 80 portraits, Sitter associated with 3 portraits. Hurst, Robinson & Co (active 1824-1825), Publishers. Artist associated with 21 portraits. Anti-Trade Union Combination Acts of 1799 and 1800 are repealed after persuasive arguments from radical Francis Place that prohibition of workers' combinations only increased their appeal. The unions had been banned for fear that they were becoming involved in democratic politics. National Gallery is established when Parliament agrees to purchase a collection of thirty-eight paintings from the estate of philanthropist John Julius Angerstein. William Seguier is appointed first Keeper. Society of British Artists holds its first exhibition, aiming to appeal to a broader art public than those who visited the Royal Academy. Lord Byron dies of a fever at Missolonghi while fighting in the Greek War of Independence. Britain declares war on Burma after threat of Indian invasion. Singapore is ceded to Britain. John Constable's Haywain receives Gold Medal at the Paris Salon.